This is not your Mother's Ceremony Program! 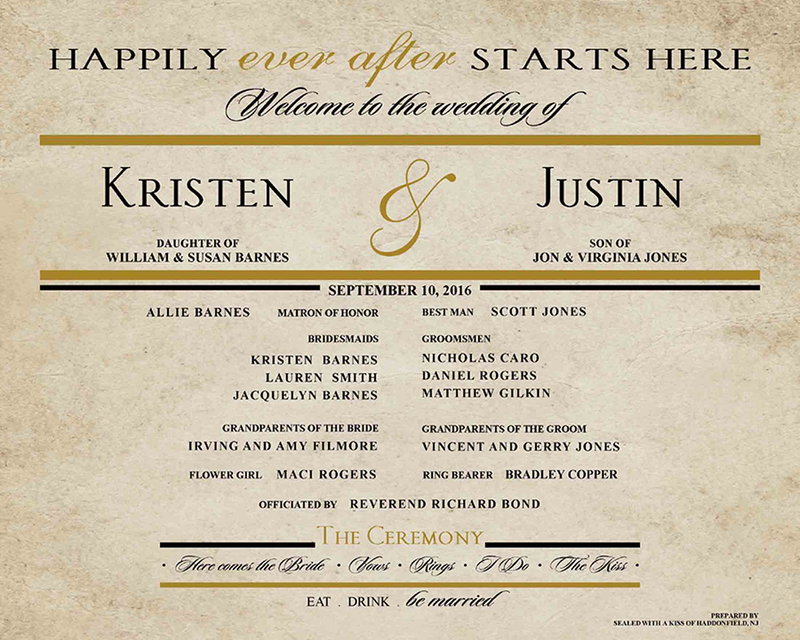 Our Ceremony Program Board is an Elegant Alternative to Wedding Programs! Click to RESERVE THIS ITEM / $79. 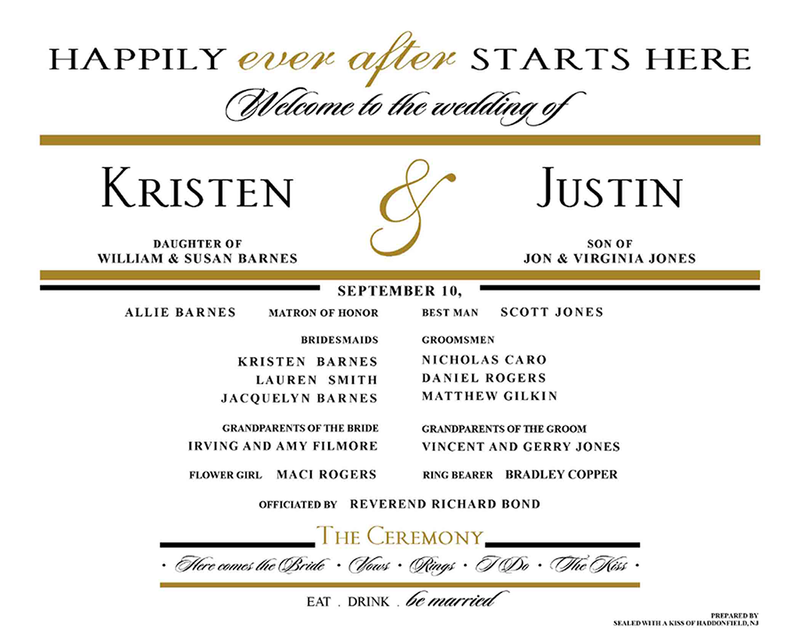 This takes the place of Ceremony Programs and displays all the members of your Bridal Party in an elegant and fun way! Printing will be prepared in up to 2 ink colors. If selected as a rental (which includes a Frame & Easel) this item is yours for 1 week, from Wednesday until Tuesday! Upon return of the ceremony program board, we'll remove the insert and present it to you as a keepsake! Click to RESERVE THIS ITEM / $99. 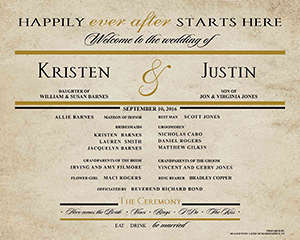 The Background has a Beautiful Vintage look and is prepared in up to 2 ink colors. Click to RESERVE THIS ITEM / $20. 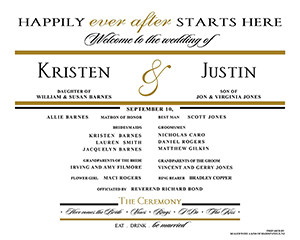 Upgrade your Ceremony Program Board! 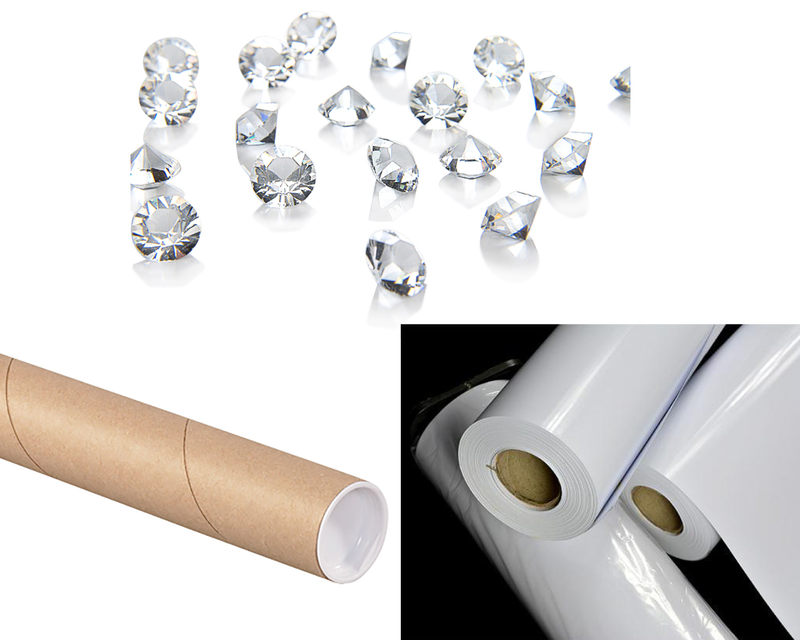 Our artists will add 10 crystals to your ceremony program board. High Quality Soft Gloss Paper for a rich elegant look that makes the colors pop! Upon completion of your reservation, we'll email a confirmation with all the details...including a color palette to select your ink colors and a selection of frames to beautifully complete your ceremony program board. This rented item is available to all customers who are able to pickup and return the item to our Haddonfield, New Jersey Store Location. If selecting as an Insert Only, we can ship anywhere in the USA or you can pick it up in store.